Bring Halloween Town home with 5 Star Vinyl Figures of your favorite Tim Burton characters. This 5 Star Vinyl Figure features 3 points of articulation and character specific accessories so you can create your own story telling moments. 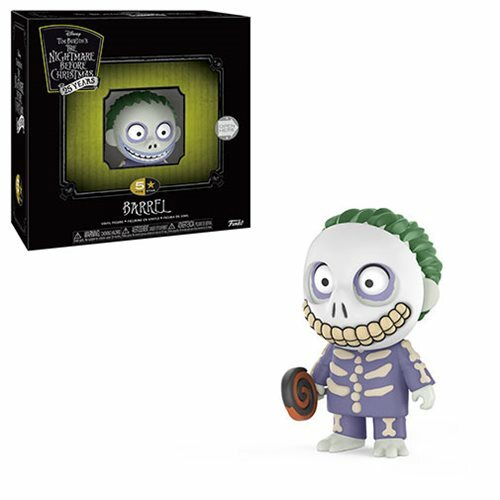 The The Nightmare Before Christmas Barrel 5 Star Vinyl Figure measures approximately 3-inches tall, comes packaged in a 5th panel window display box (opening like a book), and includes accessories like a lollypop.